While we all knew the government and even private enterprise can monitor and collect communications data from carriers and other providers for "mining", and these efforts were really stepped up after 9/11, with the introduction of the Patriot Act, the true face of it never made it public until The Guardian scooped a secret court order from the NSA to Verizon. It's been a furious tug-of-war since, with the NSA officials claiming the system is crucial for national security and has accountability and safeguards built-in, while tinfoil hat types arguing that even this bulk data collection is more than the government should be involved with. Actually, if you look for PRISM on the DoT website, it comes in plain site as a database that also collects vendor data for government procurement, meaning that the system's reach spans each and every critical for the national security sector, rather than being there for snooping on your Gmails, as the tinfoil crowd is trying to portray. Google, Apple, Microsoft and others already denied to be giving backdoor access to PRISM, the surveillance system in question, though we all know they cooperate when they are subpoenaed for clearly criminal cases, and perhaps that's why they made it into the NSA's PRISM slide below. Google in particular issues data how many such requests it receives annually from authorities, and the number has mushroomed significantly in our post-9/11 world. It becomes clear that if we want to play it safe, or simply don't like our communication details being scooped up in bulk, we should be avoiding the big boys as these are all in the eye of the NSA. There are some alternatives, however, which you can switch to in your everyday communications, if you are miffed about that whole PRISM thing. Besides smaller, but excellent cloud services like SugarSync, you can pivot towards foreign ones, as it would be really hard for the NSA to court order bulk scooping to a Korean service for example, or directly use an app that is built with encrypted communication in mind. The list below is by no means extensive, so if you've come across anything similar short of creating your own end-to-end encrypted network, share it in the comments. Looking at the leaked NSA slide, it becomes clear that if we want to play it safe, or simply don't like our communication details being scooped up in bulk, we should be avoiding the big boys as these are all in the eye of the NSA. There are some alternatives, however, which you can switch to in your everyday communications, if you are miffed about that whole PRISM thing. Kakao is a free cross-platform messaging service that allows you all the good stuff - chatting, sending files and video calls between Android, iOS, BlackBerry and Windows Phone devices. The good part, besides the easy interface and excellent group chat and texting abilities, is that it is Korean, so its servers fall out of the NSA's bulk data mining scope. "We do not share your files stored on our servers with any third parties unless instructed by you and allowed by SugarSync. We will not disclose your files to anyone unless you instruct us to do so or a court orders us to do so." While that might not prevent your files being accessed with a judge's request, it looks like bulk data collection NSA-style would be a no-go, unlike what might be happening with Dropbox soon. With an excellent Android app, Gibberbot uses the circumvention and anti-surveillance features supplied by Orbot: Tor on Android to make your Facebook, Hangouts and Jabber session look like jibberish to a hacker (or the NSA). It was explicitly created with secure communication in mind, and the end-to-end encryption is enabled using the Off-the-Record library. RedPhone for Android is provided by WhisperSystems, whose goal is to create open source, secure mobile communication for various purposes (like ducking the PRISM bots). It encrypts your phone calls, whenever possible, so that no snooping can take place. The service uses your own number, but routs the call through your Wi-Fi or data connection, thus being easy on your plan's included minutes. The same company provides you with the TextSecure app for encrypted text messaging. The Ostel project is again an undertaking to encrypt your phone calls and communications on platforms like Android, iOS, BlackBerry and Nokia phones through various apps that employ the Open Secure Telephone Network (OSTN) standard. I wonder if the apps mentioned in the slides for Android are available, similarly, for iProducts? This whole prism business is nothing new. There have always been government (and non-government) agencies snooping on the net, emails, SMS and call logs. Even if we never knew about, someones always watching. So, are you suggesting to terrorist that they can use these apps for communicating. I don't mind if Govt. collect my personal data. I think people must understand that Privacy is not more important than nation safety. And... "It is better 100 guilty persons should escape than that one innocent person should suffer". This is a time when a new age of totalitarianism is rising for the sake of security. Let's begin the witchhunting. You my friend are unaware of history. This snooping should be made illegal. 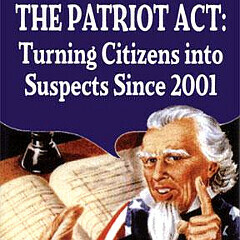 The so called "patriot act" should be revised. The NSA director went before Congress and flat out lied that it wasn't happening. The IRS went before Congress and flat out lied they weren't targeting anyone. The head of the DoJ went before Congress and flat out lied he had nothing to do with reporter wire taps. But data collection is done regularly but all in secrecy. Lets consider again "Who is our real enemy?" Ya you are right partially (I know about NWO). Which will give more power over greater population. Even tho the lack of apps is holding me back this is why so many people around the world still use blackberry so the government cant get into their stuff! And why bbm downloads on android and iphone will prob skyrocket after it is released. Yes blackberry OS seems to be the only choice eight now. Hope something better will come up with Samsung's Meego ( or whatever its name is, I don't know specifically) and Firefox OS. Can anyone tell me what are the privacy issues in Windows Phone (I haven't tried one yet but thinking of)? Is it mandatory to have a outlook account to access app store? Does it automatically turn on GPS by default whenever you purchase a new phone or update it (It happens at the beginning whenever I try a new custom rom in Android)? This article issues a lot of paranoia. I won't speak for anyone else, but if I'm not doing anything illegal, I don't care what some unknown government body knows what I'm doing. I just don't care about a particular country's safety. America is not the world. Most people who are concerned about personal identity being monitored shouldn't be feeling very paranoid unless if they are doing something illegal.